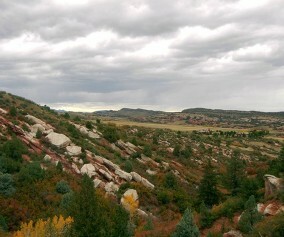 Glendale Farm is a short hiking trail near Littleton, Colorado, that offers a seventeen-acre off-leash dog park. This makes for a great after-work trail run or a leisurely hike when the sun is setting over the mountains and the day is cooling down. 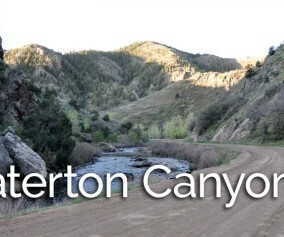 Explore the full trail profile below for all the details: hiking trails, trail map, and detailed directions to the trailhead. 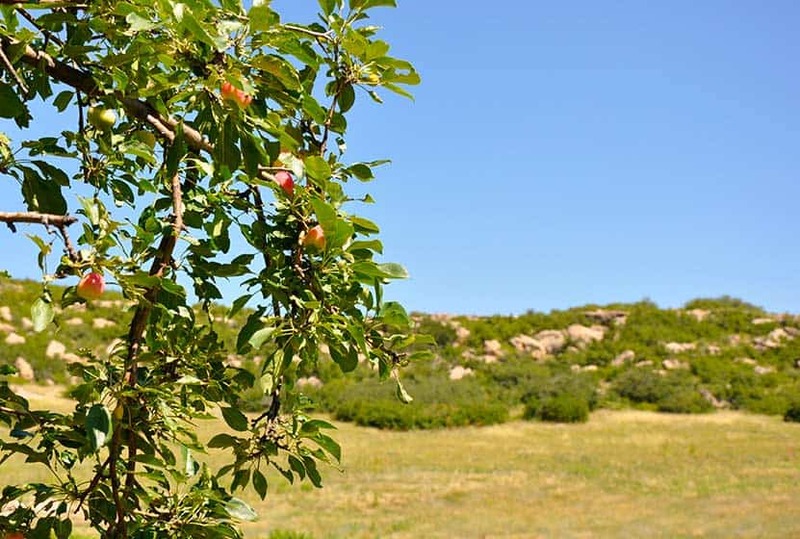 Glendale Farm Open space is situated on a prairie plateau between Lone Tree and Castle Pines, Colorado. 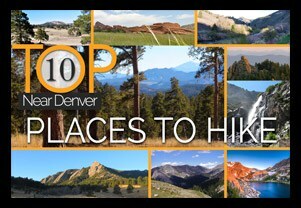 From the high point on the trail you’ll gain views of Pikes Peak in the south, Devil’s head in the west, and Rocky Mountain’s Longs Peak in the North. 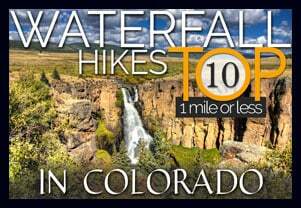 It’s just a 1.6 mile loop trail, so it makes for a great run or hike. 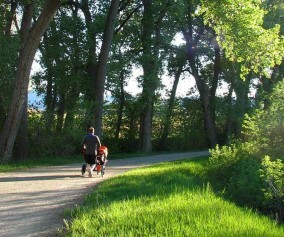 There’s not much shade on this trail, so bring sunscreen–or better yet, hit the trail as the sunsets. 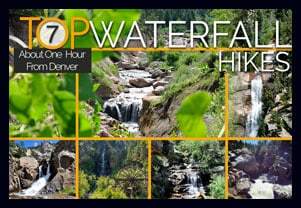 This is another one of those great hikes with your Dog near Denver. Leashes are required on the trail, but after doing the loop, you can let your dog loose in the adjacent 17 acre off-leash dog park. 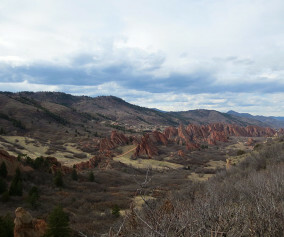 Greenland Open Space Trail has a similar off-leash dog park of 17 acres. An off-leash dog area: Located southwest of the main trailhead is a 17-acre parcel designated park that is fenced-in, and the only area where dogs are allowed off-leash. Watch your step: Prickly pear cacti grow along the trail and there are rattlesnakes present in the area. Rules: For the most up-to-date rules and info in Douglas County dog parks, see this brochure. Definitely an easy and short trail. I would not suggest going after it’s rained, it can get very muddy. This is definitely not a stroller friendly trail. It does have a very good view, and is a great place to take people that are from out of town. 10 million crickets on the trails. if you like crickets this is the trail for you.